A survey conducted by NGO Forum MNE, in cooperation with partners from the Western Balkans, showed that a small number of civil society organisations in Montenegro are directly addressing the question of violent extremism. On the other hand, in most Western Balkan countries, governments recognise the importance of civil society organisations in the prevention and suppression of violent extremism, because they are often better informed about the current situation, have direct communication with citizens, and are in a better position to implement prevention programmes. The research presented ay the EU Info Centre showed that fight against violent extremism is often perceived as primarily the state’s responsibility, while civil society organisations mostly operate at the local level. “A specific image of extremism has been created in the Western Balkan region, and it is often linked only to the Islamic State (ISIS) and other Islamist groups. Authorities in the region are not showing the same degree of concern for right-wing extremism, although numerous interviewees see it as a major threat. 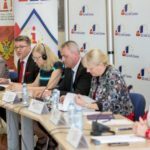 This can result in isolation of individuals or groups, which can make their radicalisation more likely,” said the Forum MNE Executive Director, Elvira Hadzibegovic Bubanja. 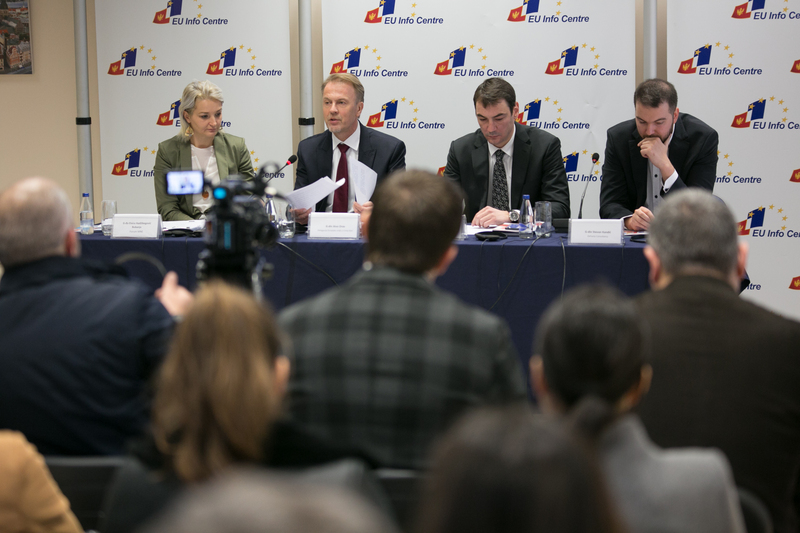 The issue of violent extremism has been prominent on the global political agenda in recent years, and the EU and the Western Balkans are no exception, said the EU Ambassador to Montenegro Aivo Orav. Terrorism can strike anywhere, at any time, and it is crucial to work together and to do what we can to prevent it. “Six countries of the Western Balkans and the EU agreed on a Joint Action Plan on Counter-Terrorism. It provides a joint framework for countering terrorism and calls for ambitious and concrete actions to achieve five counter-terrorism objectives, including preventing and countering radicalisation, effective information exchange, combatting terrorist financing, and the protection of citizens,” Orav stated, adding that violent extremism cannot, and should not, be associated with any religion, nationality, or ethnic group. Montenegro’s response to violent extremism and radicalisation will be based on strengthening national capacities to combat these challenges, coordinating the activities of all entities within the state, and strengthening international cooperation, stated Director General for International Cooperation and Projects at the Ministry of Justice, Nikola Saranovic. “It is suggested that the task of preventing and detecting these phenomena should be the responsibility of all state organs and institutions, but also of the entire community, including religious communities, the education system, the civic sector, the media and many others,” said Saranovic. Saranovic noted that Forum MNE and the Centre for Democratic Transition, as civil society organisations, made an important contribution to the implementation of the Action Plan for the implementation of the Strategy for the Suppression of Violent Extremism 2015-2018. They also contributed during the preparation of the Transition Action Plan for 2019. One of the most important activities in this plan is to create a new Strategy for the Suppression of Violent Extremism.